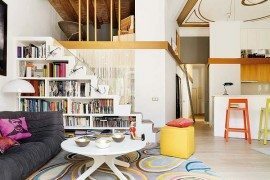 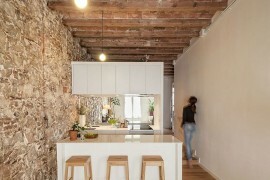 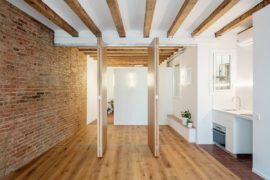 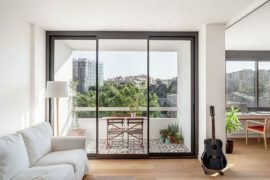 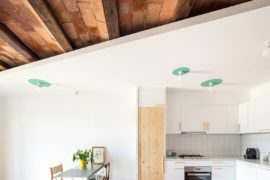 When it comes to big cities, every inch of space is valuable and in a city like Barcelona, a small, old and unused gatekeeper residence is also a gold mine full of possibilities! 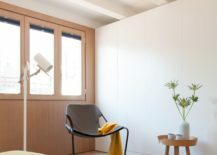 That is even truer when you have the creative folk from YLAB Arquitectos transforming the 38 square meter space completely to fashion a modern, functional and space-savvy occasional home that is perfect for the urbanite. 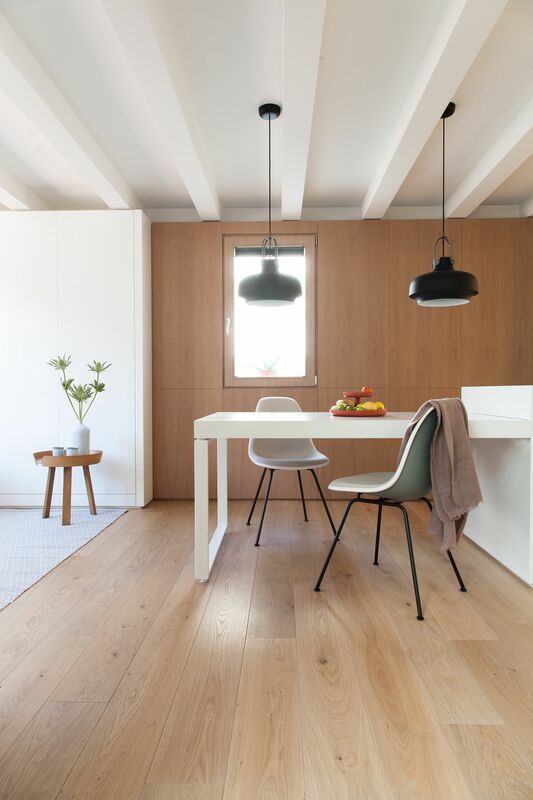 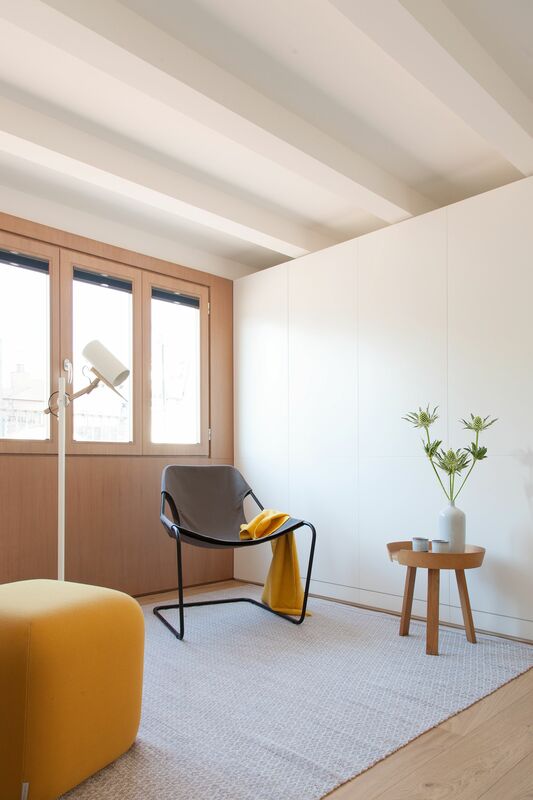 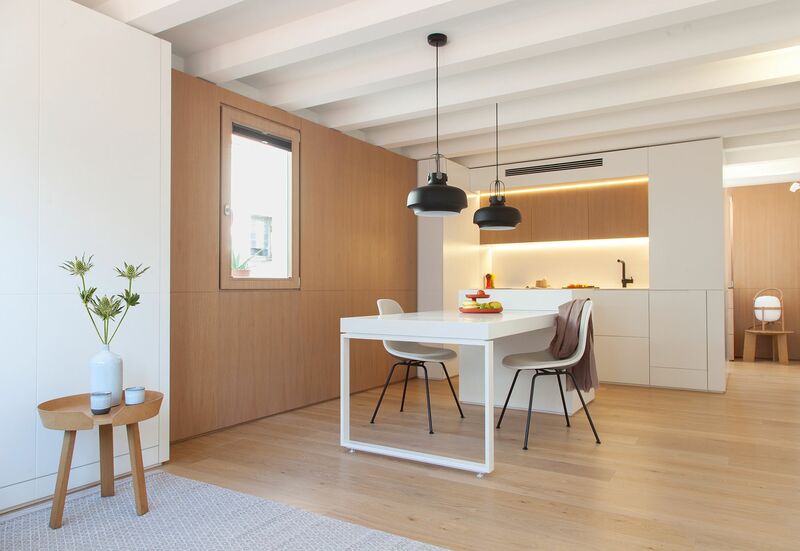 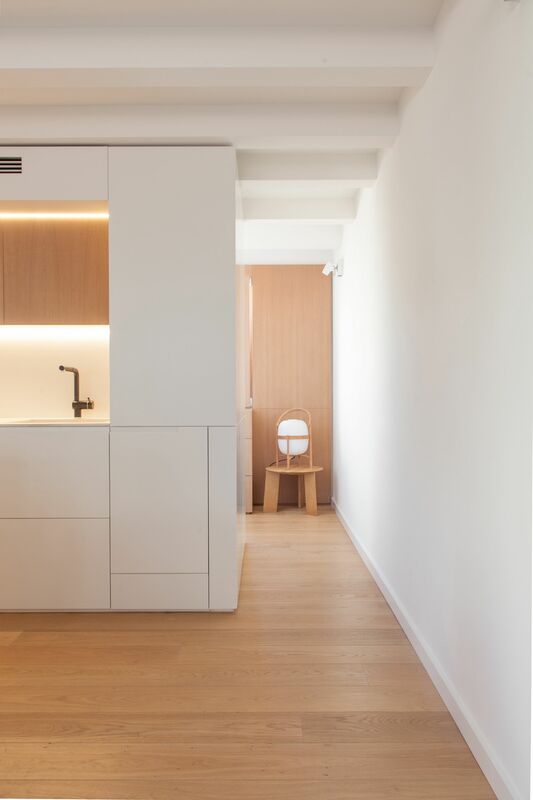 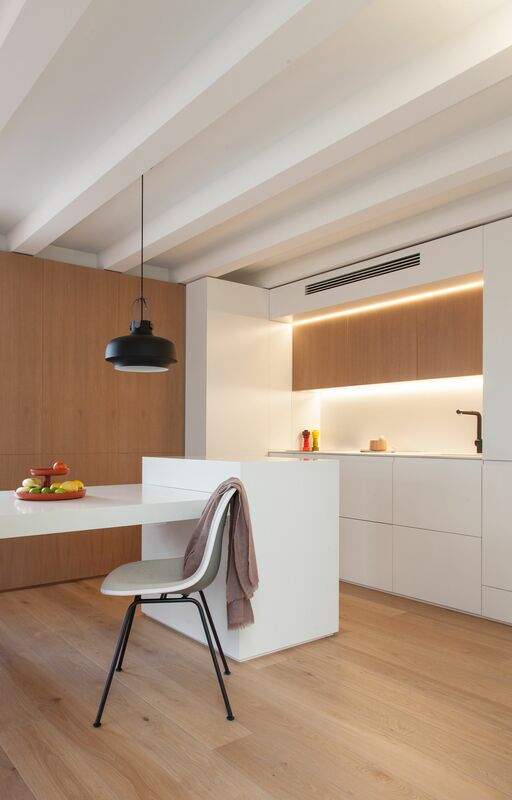 Designed to tuck away mess, maximize available room both functionally and aesthetically and to ensure that the apartment has a personality of its own, this little apartment in Gracia, Barcelona thrills you with inspiration and wonder. 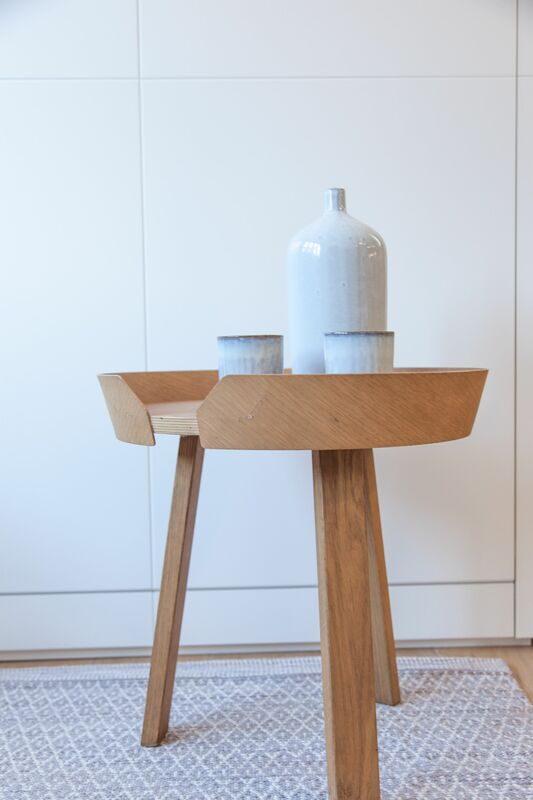 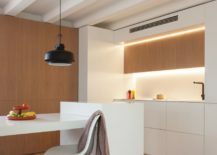 The defining aspect of this transformed unit is undoubtedly the custom carpentry in white satin lacquer with natural light oak veneer that runs throughout the home and gives it a polished panache. 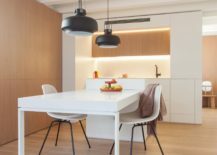 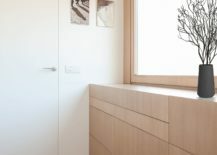 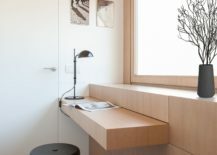 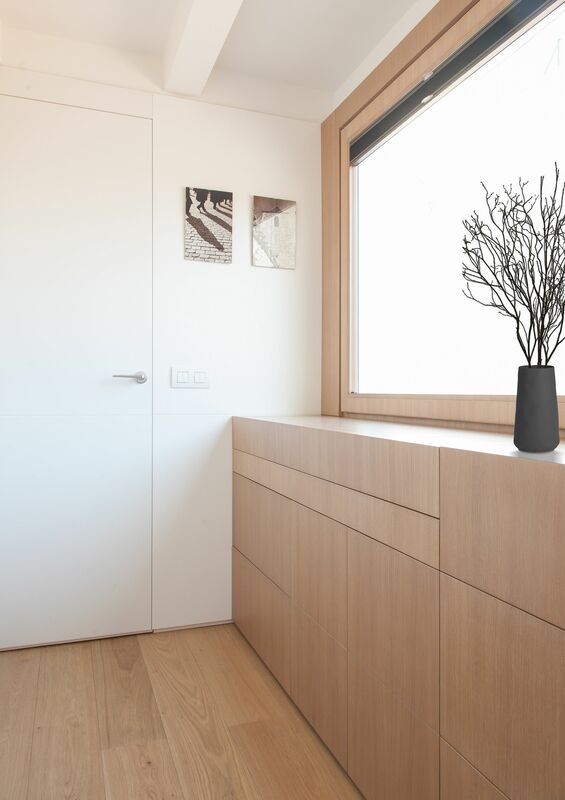 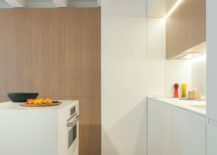 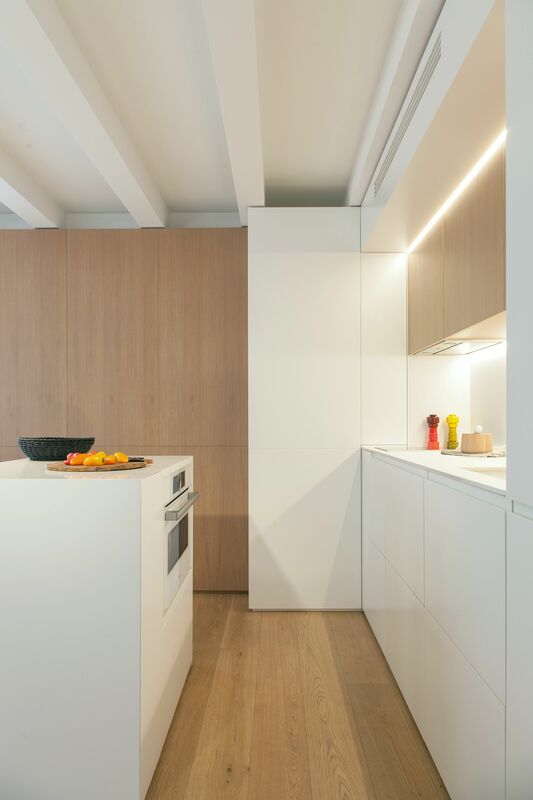 Step inside and you are surprised by the way in which warmth of wood is carefully intertwined with contemporary white finishes as the central kitchen unit and workstation morphs into different functional décor items in different rooms. 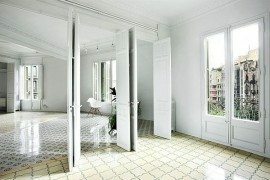 There is a visual and textural continuation of style with bespoke décor altering each and every room of the apartment. 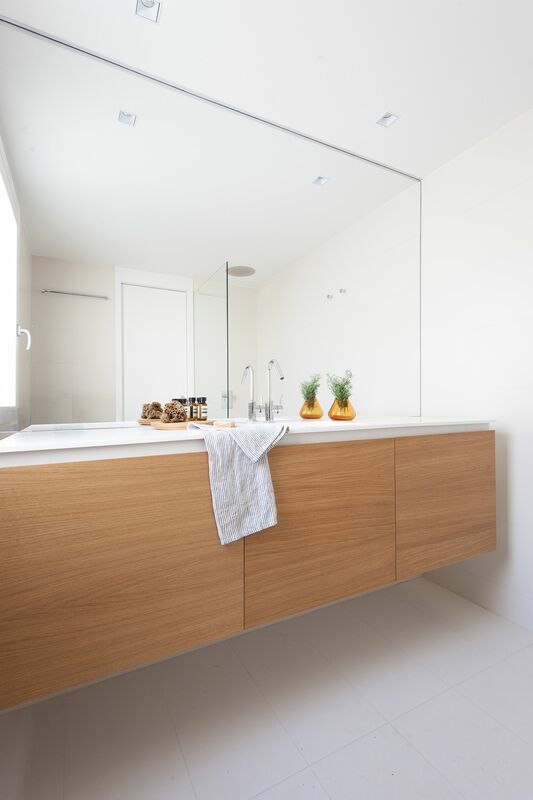 Even in the bathroom, the white and wood theme continues with a neutral backdrop and a gorgeous floating wooden vanity. 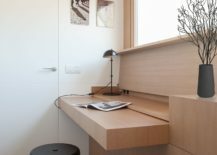 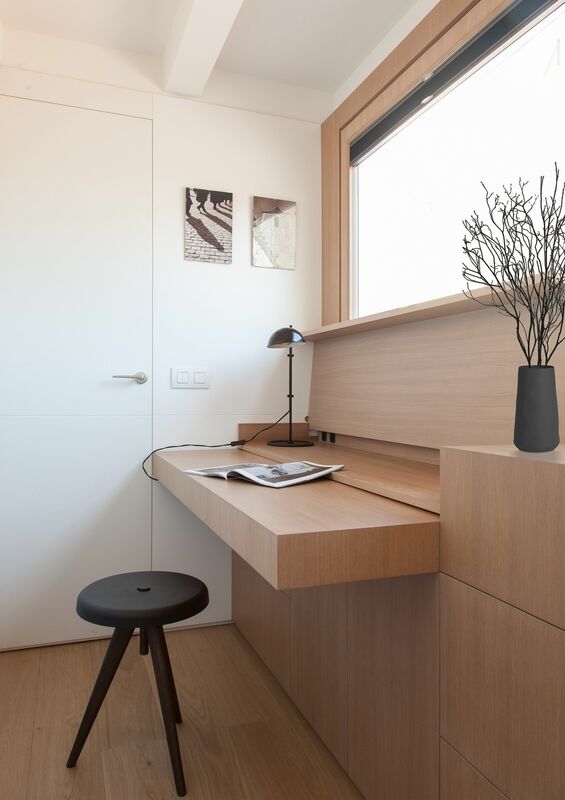 Work desks and storage units can all be concealed with ease! 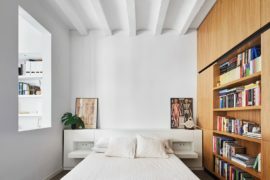 The old windows were replaced with modern counterparts while a folding bed that can be pulled out at night easily turns the open, spacious living area into a bedroom when needed. 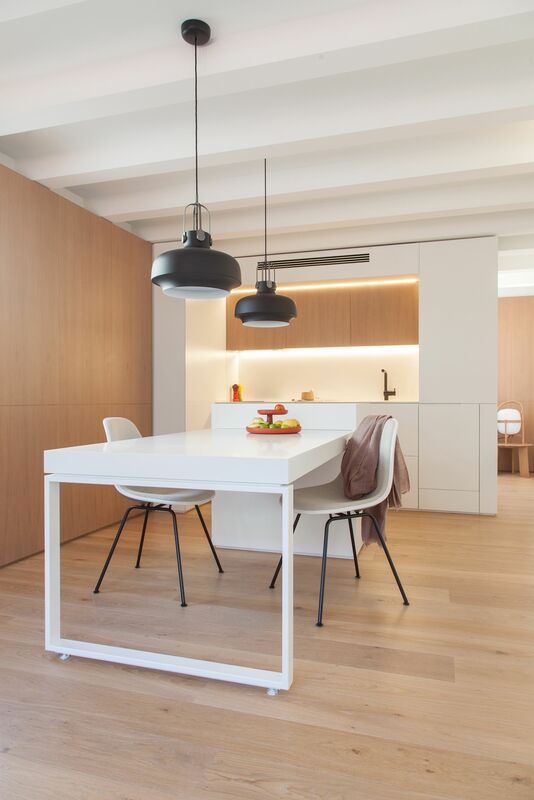 Beautiful LED lighting along with modern classics like the Paulistano lounge chair add another layer of sophistication as one quickly forgets that this was once a forgotten and cramped apartment unit devoid of any life! 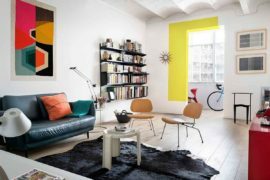 RELATED: 50 Tiny Apartment Storage and Shelving Ideas that Work for Everyone!